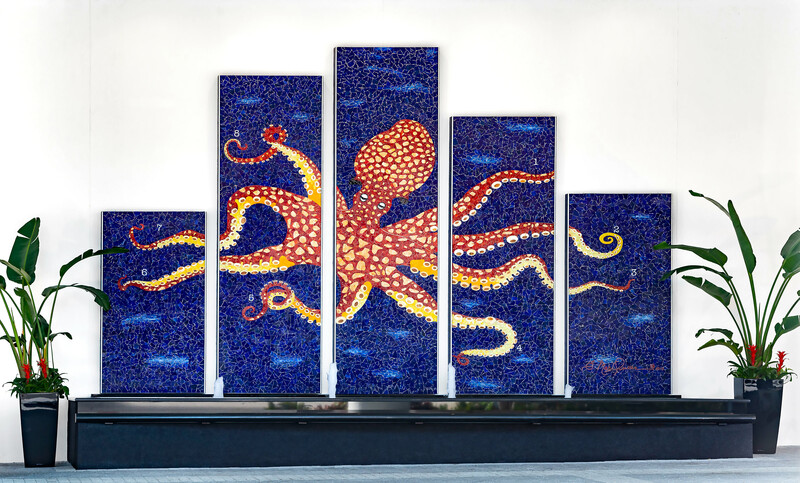 We believe in the idea that art is something that helps improve society and people’s condition. 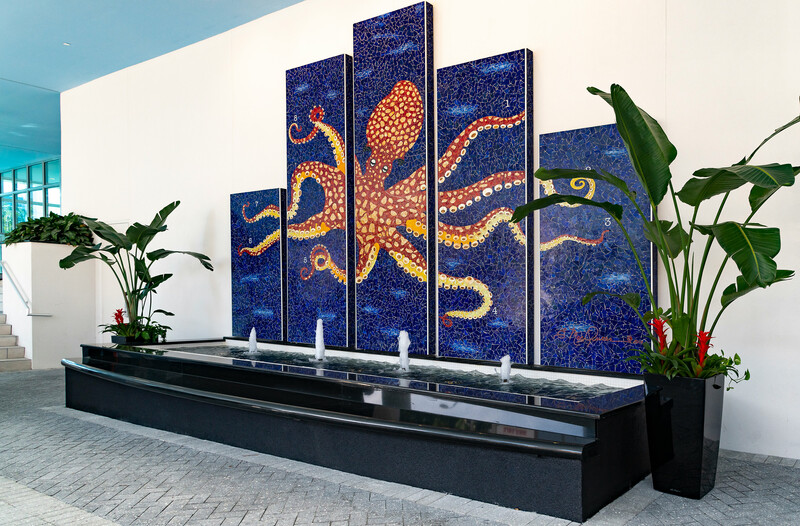 Sarasota is home to several marine research facilities including the Mote Marine Laboratory & Aquarium, and the Science Under Sail Institute for Exploration. 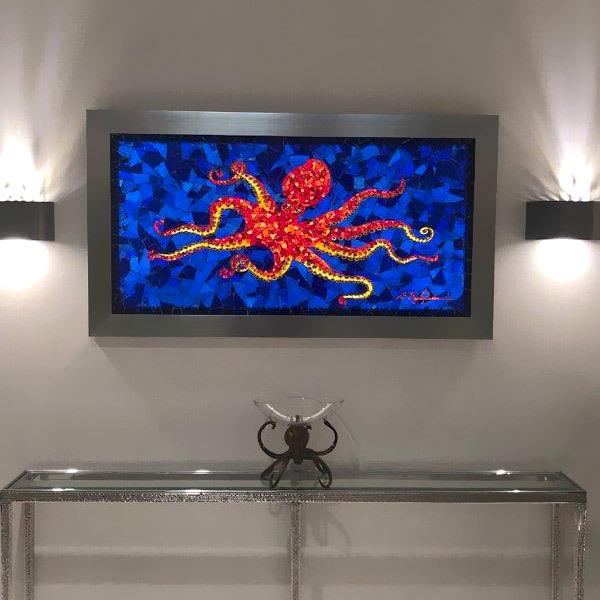 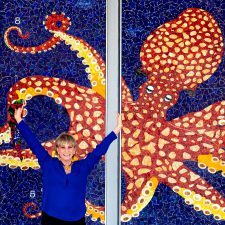 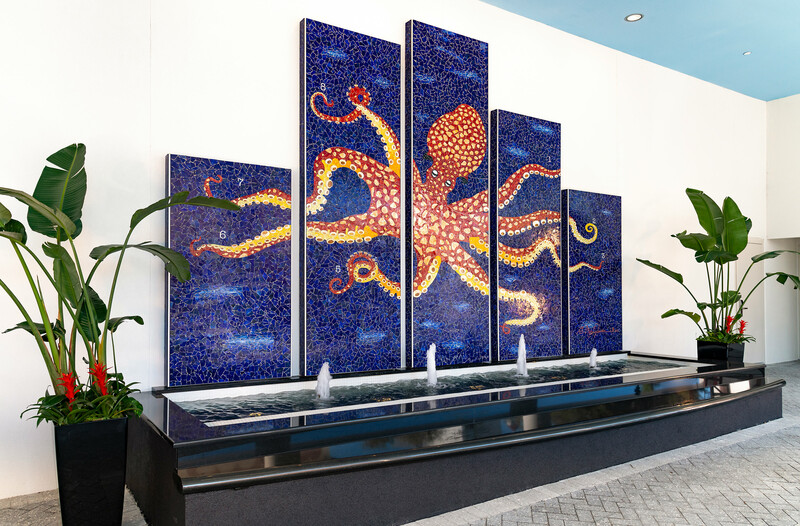 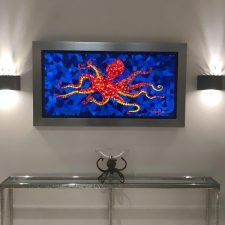 When Hilton’s new waterfront hotel needed a central focal point, Elizabeth MacQueen sought to embrace the marine culture with an extraordinary symbol, the octopus. 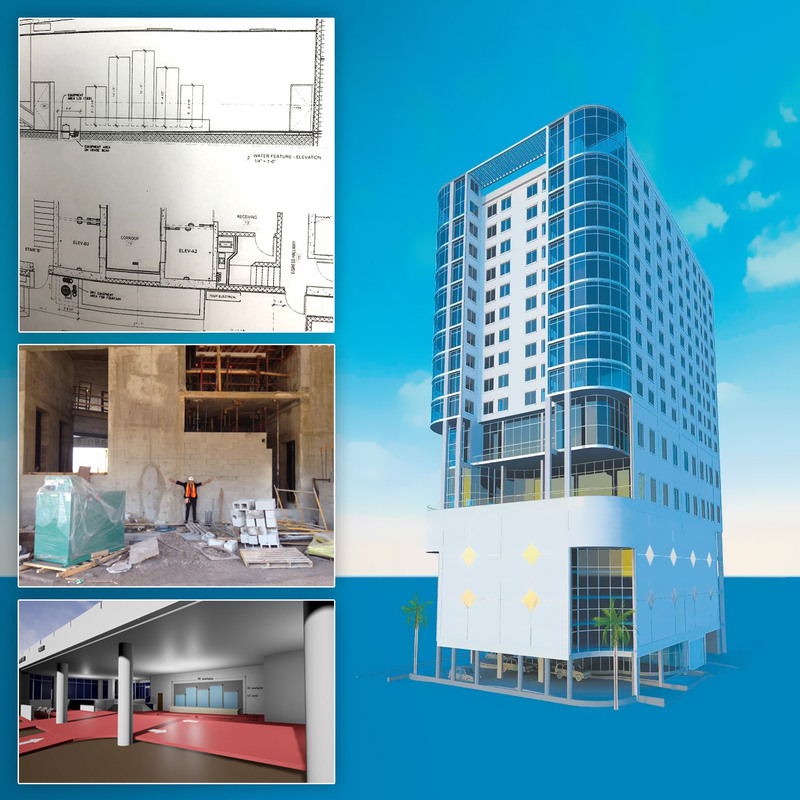 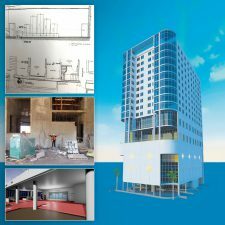 Planning began almost a year before completion of the hotel’s construction. 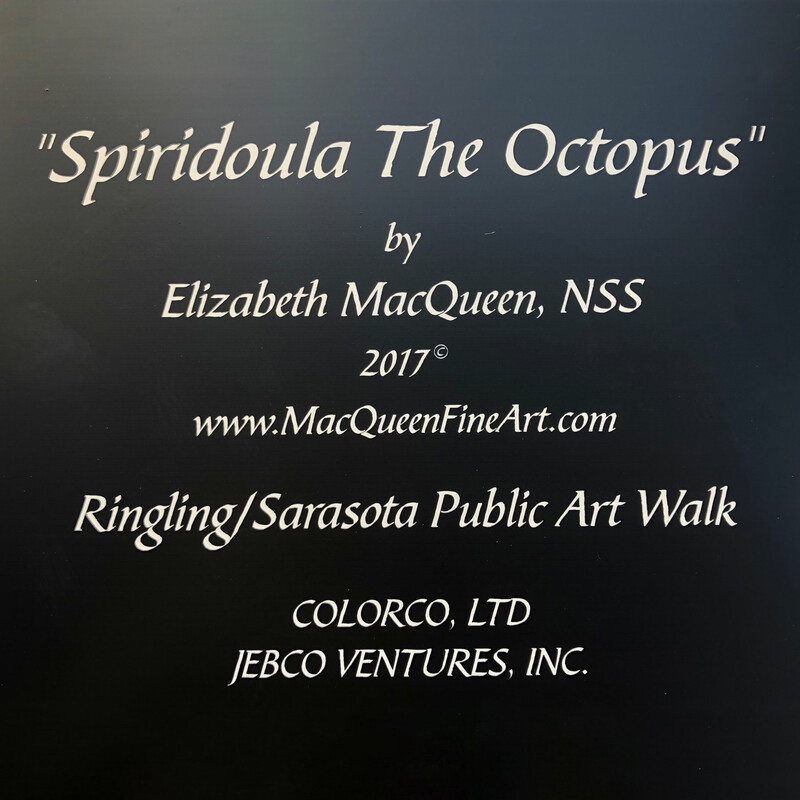 After being awarded the project by a panel from the Public Art Program of Sarasota, the journey began. 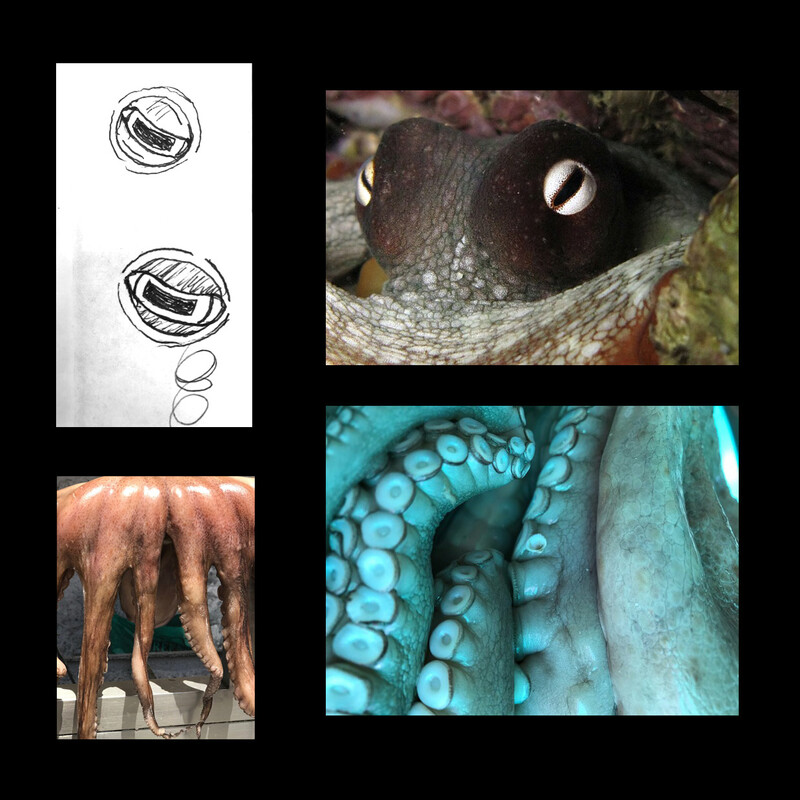 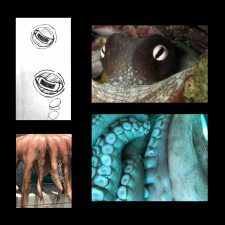 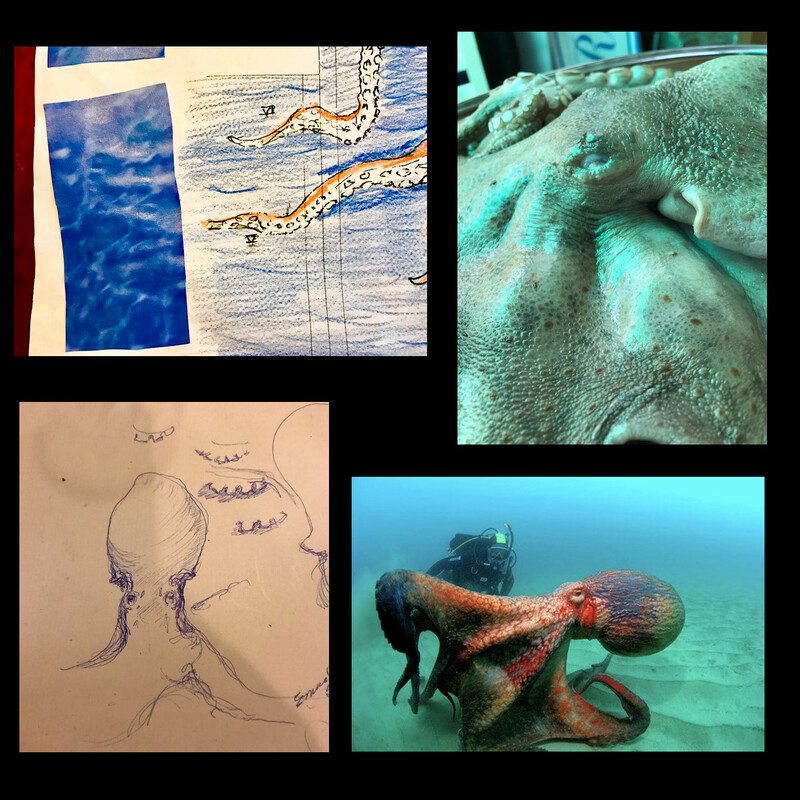 As always, Elizabeth fully immersed herself in the project by getting up close and personal with octopuses and the ocean. 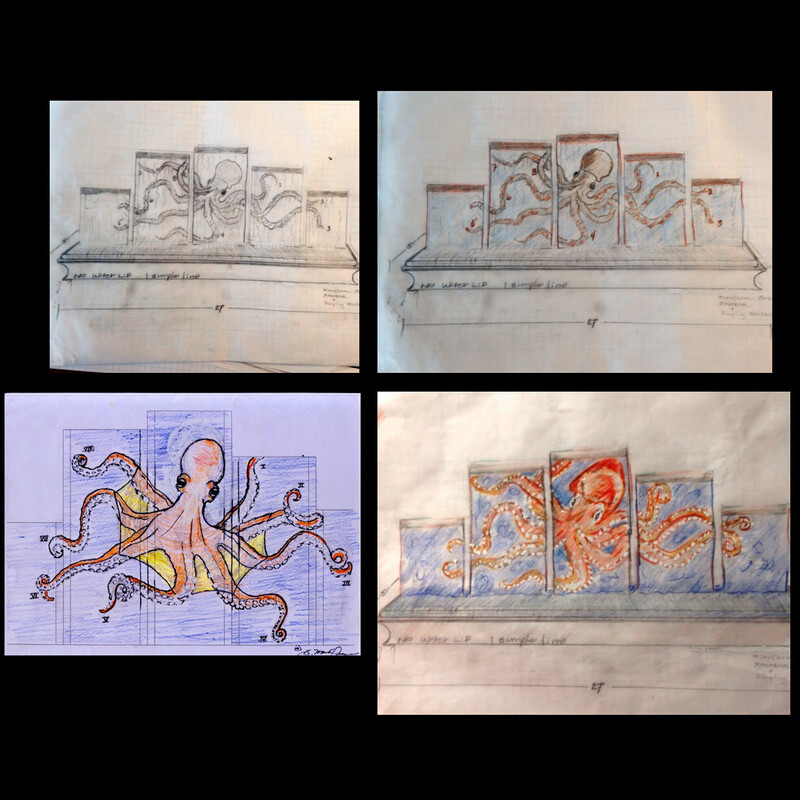 Elizabeth’s quest to find inspiration, materials, and resources spanned 4 countries, 2 US states, and a few islands in between. 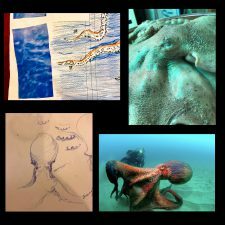 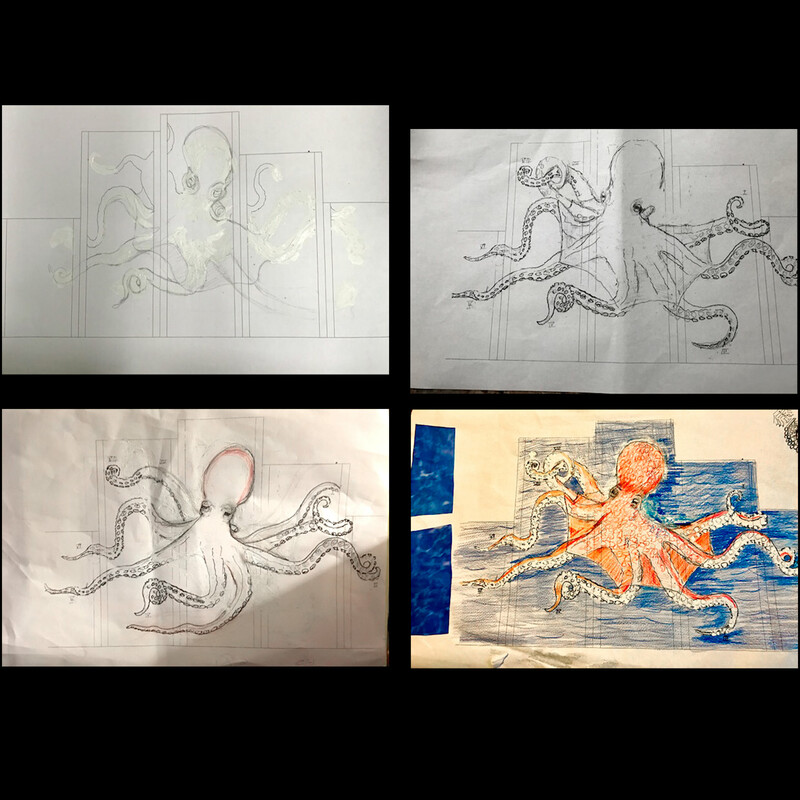 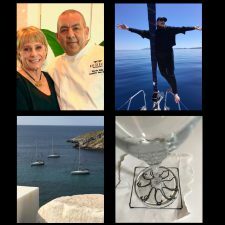 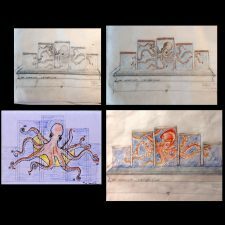 While on the Greek Isle of Kea, a local fisherman caught an octopus for Elizabeth to sketch and get intimately familiar with. 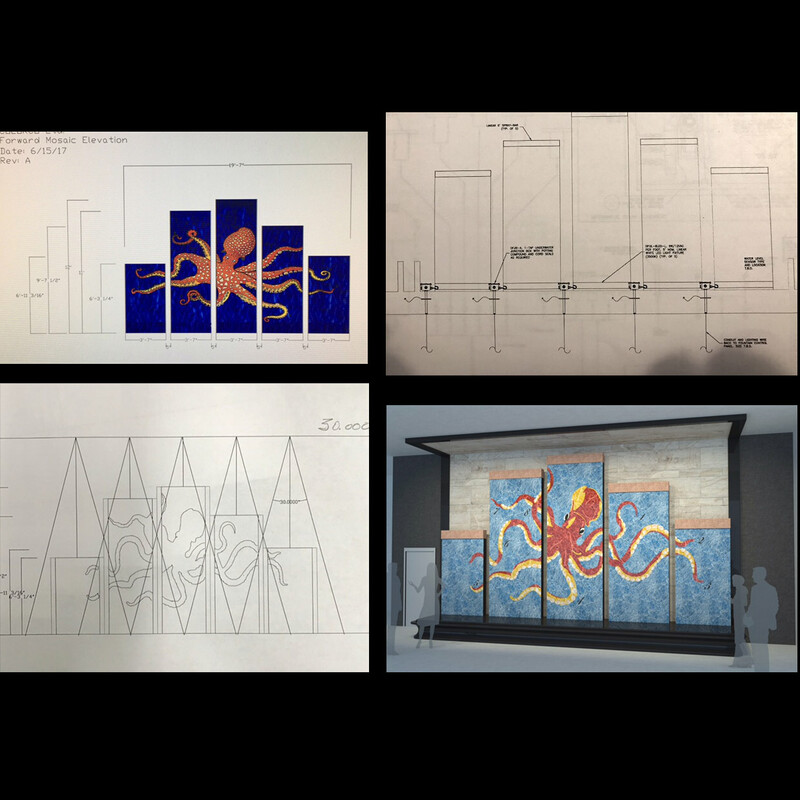 After hours of research, construction site visits, dozens of drawings, 3D renderings, and scaled mockups, Spiridoula was born. 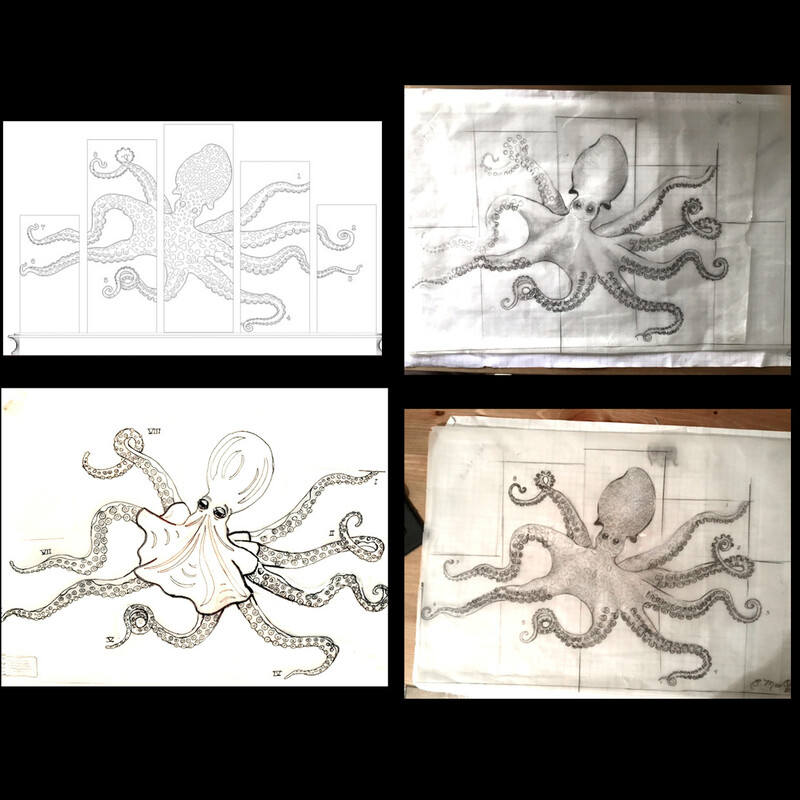 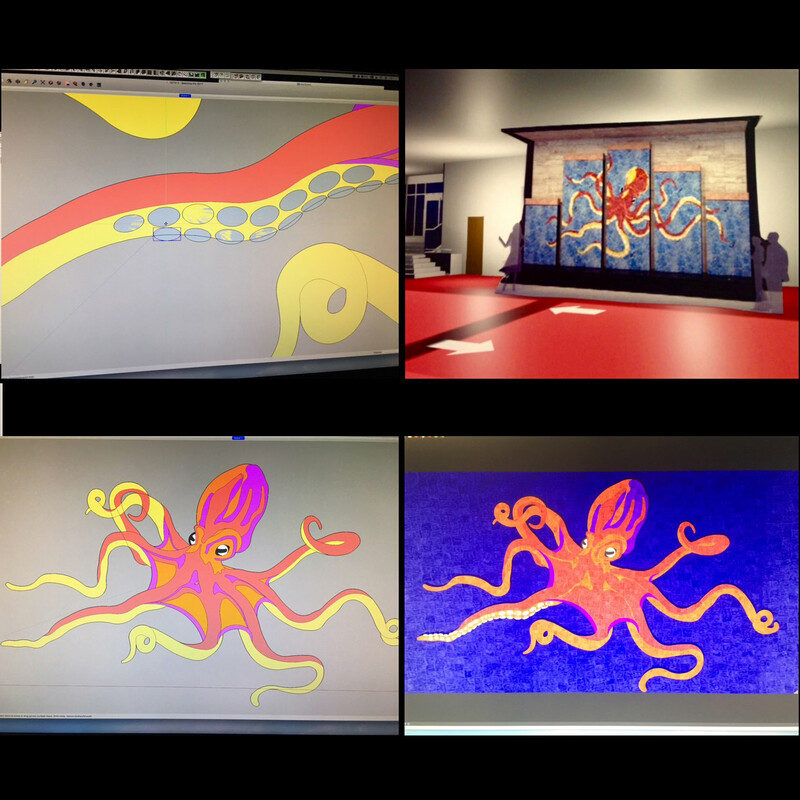 Click the images below to see how the process unfolded. The final development was carried out in Merrimack, New Hampshire then the finished components were shipped to Sarasota. 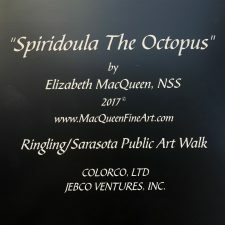 Due to its massive size and weight, Spiridoula was installed with the help of an industrial crane. 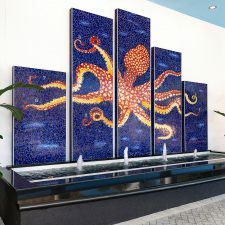 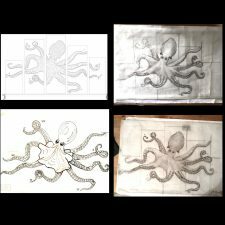 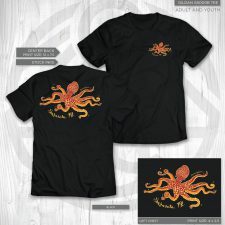 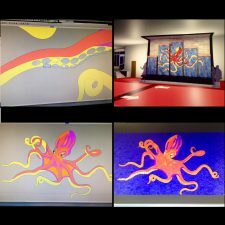 The five paneled octopus is 25 feet long, 15 feet high, and 5 inches in width. 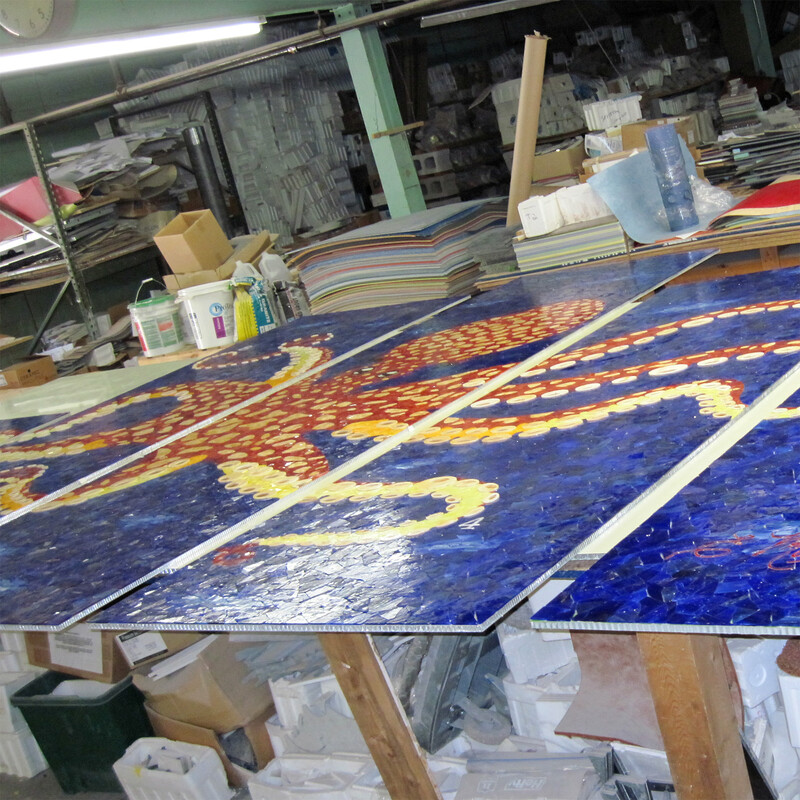 Over 350 square feet of individual glass shards were meticulously placed. 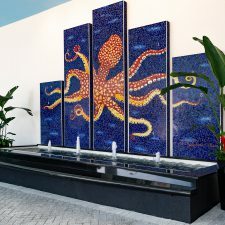 The pool in front of it spans the entire length and is 7 feet wide giving visitors a place sit and relax. 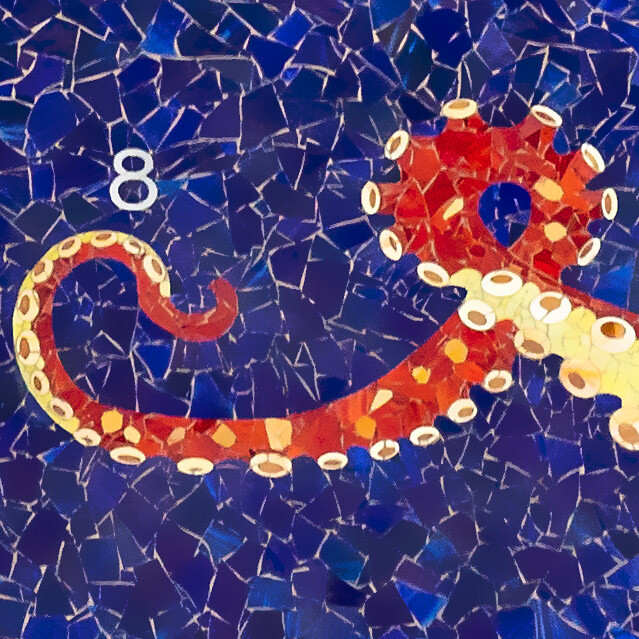 Click to view the final mosaic full screen.